It is never a brilliant idea to owe taxes to the government and, even worse, if you don’t have the resources to pay your tax bill. The first plan of action in such a situation should be to look for payment plans and file the tax returns before the deadline to avoid the 5% penalty each month on the available balance. There will be an additional interest on it as well which is adjusted after every 4 months, depending on their preference. At this point, your aim must be to minimize the damage and the only way to do that is finding an opposite plan that will put you out of tax misery. To discuss payment plans with the IRS, you can call them at 1-800-829-1040 and they will help you out to the best of their ability. Apart from that, you have plenty of other options to reduce your tax bill through hiring professional consulting services and by following the advice below. Even though you may not be able to pay the whole amount at one time, it is important to pay as much as you can in the first installment. This will significantly reduce the interest and penalty because of the lower remaining balance. Also, there is a possibility that the IRS may offer better payment plans to individuals having less than a certain amount in the remaining balance. Requesting a payment extension is one of your options if you are unable to pay the tax in due time. Typically, you would get a period of 120 days to pay the tax returns after submitting the forms. The IRS would ask you in case you want to request a payment extension. Those individuals who have not previously applied for extensions are eligible to avail this facility. It is advised by experts that installments are a viable payment plan if you owe less than $50,000 and need more than the allotted 120 days to pay off the tax bill. An online payment agreement form needs to be submitted which will set you up for an installment plan of as much as six years. A one-time setup fee will be charged which depends on the amount you owe and is usually $30 – $250. For individuals who can set up direct payment plans from their bank accounts, the fee can be significantly reduced further. Another benefit associated with opting for an installment plan is related to the reduction of penalty charges for failing to pay the installment. You will be charged an interest of .33% for failing to pay the installment on your tax bill, rather than paying .5% for a general plan. However, only one time filers get this privilege. To ask for a leniency payment plan from the IRS, you will need to authenticate that making this payment would leave you in dire circumstances. You may even lose your home and may have to offer other financial sacrifices because of the ongoing crisis. If the IRS approves a leniency plan for your tax bill, that would be the best scenario for you. You will be given more time to make the payment and any kind of penalty is also waived. 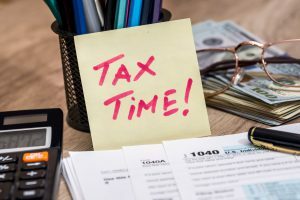 There is an “Application for Extension of Time for Payment of Tax due to Undue Hardship” that needs to be filed and submitted to become eligible. There is a thorough investigation into your claims before you are offered the remunerations, so ensure that the leniency payment plans are only sought for in case of eligibility. A personal loan can be your best bet against the IRS considering a family or friend may be willing to help. There are some people in your life who trust you and you trust them equally in return. You would not have to worry about interest payments in such an agreement. However, it is still recommended to at least notarize the deal and discuss a payment plan, just to avoid any inconvenience for both parties. While it may not be one of the most suitable payment plans for most people, it certainly can offer some relief from tax bill.